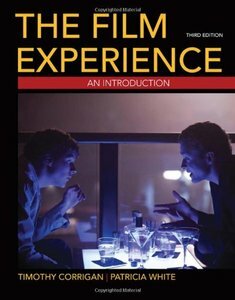 The Film Experience is a comprehensive introduction to film that recognizes students as movie fans while surpassing all other texts in helping them understand the art form’s full scope. Noted scholars and teachers Tim Corrigan and Patricia White capture the complete film experience, situating their strong coverage of the medium’s formal elements within the larger cultural contexts that inform the ways we all watch film—from economics and exhibition to marketing and the star system. A host of learning tools gives students the support they need to make the transition from movie fan to critical viewer. Now with a sharper focus that highlights the essential formal and cultural concepts of cinema, and a powerful new suite of video and media, The Film Experience is the consummate introductory film text. 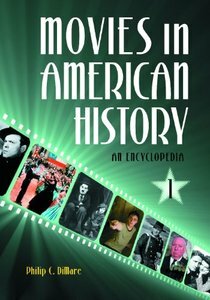 Movies in American History: An Encyclopedia is a reference text focused on the relationship between American society and movies and filmmaking in the United States from the late 19th century through the present. Beyond discussing many important American films ranging from Birth of a Nation to Star Wars to the Harry Potter film series, the essays included in the volumes explore sensitive issues in cinema related to race, class, and gender, authored by international scholars who provide unique perspectives on American cinema and history. 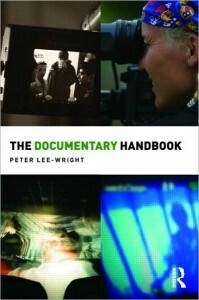 The Documentary Handbook is a critical introduction to the documentary film, its theory and changing practices. The book charts the evolution of documentary from screen art to core television genre, its metamorphosis into many different types of factual TV programme and its current emergence in forms of new media. It analyses those pathways and the transformation of means of production through economic, technical and editorial changes. The Documentary Handbook explains the documentary process, skills and job specifications for everyone from industry entrants to senior personnel, and shows how the industrial evolution of television has relocated the powers and principles of decision-making. Through the use of professional Expert Briefings it gives practical pointers about programme-making, from research, developing and pitching programme ideas to their production and delivery through a fast-evolving multi-platform universe. In Screen education, Terry Bolas provides the first definitive history of the development of film and television studies in Britain, from its origins as a grassroots movement to its current status as serious scholarship. The focus is on the United Kingdom, where the development mirrors that of film education in North America and Australia. 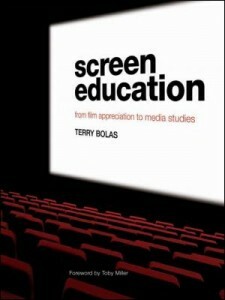 Bolas’s account describes the voluntary efforts of activists in the Society for Education in Film and Television and their relationship with British Film Institute’s Education Department. Though much documentary evidence has been lost, Bolas’s work incorporates personal archives and interviews with key figures, making this a critical record of the rise of cinema and television studies. Every film or video shoot calls for at least two camera assistants. Camera assistants (or first and second ACs, as they’re known) have the important job of maintaining the camera, readying it for use, troubleshooting (such as knowing what to do when a camera drops into the ocean), and preparing it for transport. 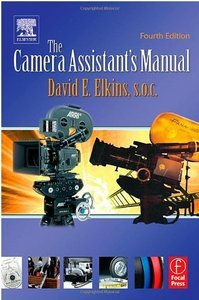 The Camera Assistant’s Manual teaches the complete workflow in easy-to-understand terms and does not assume prior knowledge. It is a must-have on the set for camera assistants and is loaded with reference material such as camera illustrations, forms, charts, checklists, and equations. Invaluable career advice rounds out the book. With all the recent advancements in filmmaking technology, more people than ever are trying their hand at filmmaking. 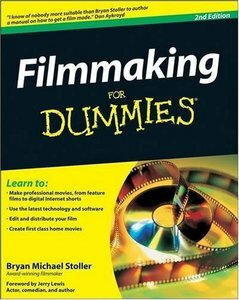 Keeping up with the newest information in this booming field, this updated edition of Filmmaking For Dummies features up-to-the-minute coverage of the latest and greatest hardware, software, accessories, and trends–including high-definition technology and new outlets for films such as YouTube and MySpace. It demystifies the nuts-and-bolts of filmmaking, from developing a project and securing financing to hiring a cast and crew, editing, and getting distribution. 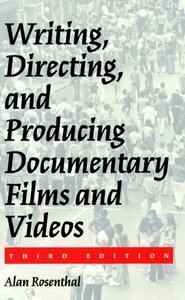 This new edition also provides new movie examples and updated contacts and resources. Whether people want to become professional filmmakers or simply shoot quality home movies, this practical guide has all the advice and tips needed to succeed. 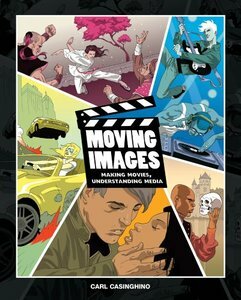 Moving Images is the first comprehensive media studies and motion picture production textbook of its kind. Offering a series of hematically-driven units that provide opportunities for collaborative learning, enhancement of creativity, and development of higher order thinking, this book is designed to get your students excited about making movies. Students will not only learn how to analyze and appreciate motion pictures, but they will also study the fundamental skills needed to create and produce their own movies. 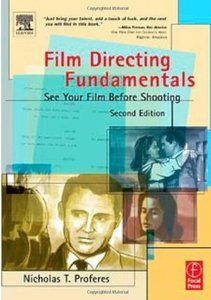 Unique among directing books, Film Directing Fundamentals provides a clear-cut methodology for translating a script to the screen. Using the script as a blueprint, Proferes leads the reader through specific techniques to analyze and translate its components into a visual story. A sample screenplay is included that explicates the techniques. The book assumes no knowledge and thus introduces basic concepts and terminology. 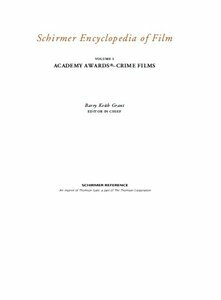 The Schirmer Encyclopedia of Film is intended as a standard reference work in the field of film studies. Designed to meet the needs of general readers, university students, high school students and teachers, it offers a comprehensive and accessible overview of film history and theory with an American emphasis.